These are great pieces of Orange Calcite from Mexico, each with good colour. 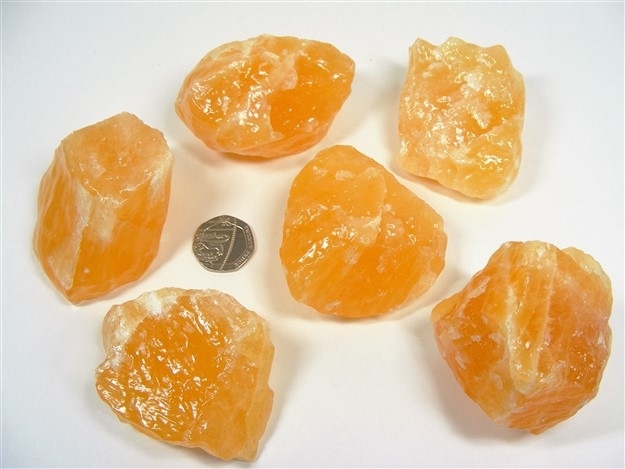 In addition to the above properties, Orange Calcite can also help to heal problems with the reproductive system, the gallbladder and the intestines. It is an uplifting stone bringing us joy, happiness and good humour. It is also a stone for balancing the emotions. Orange Calcite can help us to overcome fear and depression and is, in general, good for melting away or dissolving problems. Orange Calcite is an ideal stone for helping us to maximise our own potential.